Overall difficulty: 7 of 10. Parking – Parking available at Wawayanda and High Point State Parks. At each park, you must register with the park ahead of time to overnight park. Offices closes at 4 PM, so plan accordingly! Hiker parking lot at High Point State Park. After spending four hours driving up to Wawayanda State Park from South Jersey, registering and stashing a car, then driving to the hikers lot at High Point State Park, the adventure begins! Yay! The trail started at the back of the parking lot, so we snapped a picture of us from the picnic table, then headed for the Appalachian Trail. 0.3 of a mile later, we made it! We headed right and followed the white blazed Appalachian Trail, our home for the next two months 48 hours. Don’t get too excited though, the AT only goes along for a quarter mile before hitting the road. 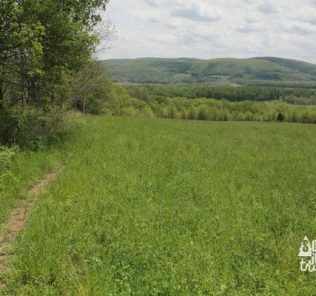 We crossed the road, followed the trail posts across the field, took a peek at the bit of a view to the right, and then reentered the woods. You can get excited now. The trail gradually climbs through the forest for the next mile or so. That’s the nice thing about heading to the highest point in the state, you know it has to be uphill! 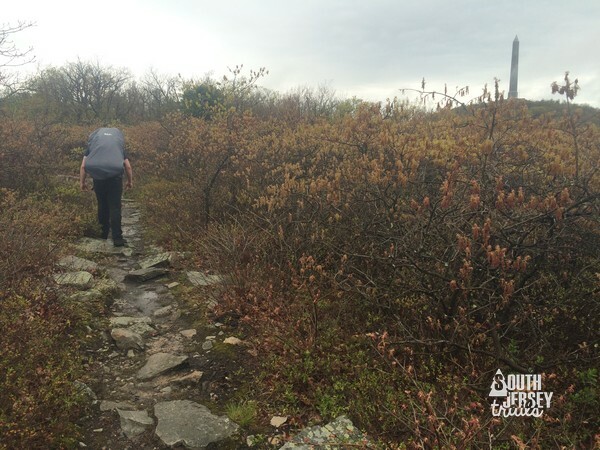 In just under a mile, we top out on a ridge, with some lovely views of the land below, as well as our first views of High Point Monument itself. At exactly a mile from the road, you’ll reach a raised wooden platform. It’s well worth the climb up the steps for clear views of the surrounding mountains and of the monument. In fact, the view from here might be even better than from the monument itself! High Point Monument from the Appalachian Trail. 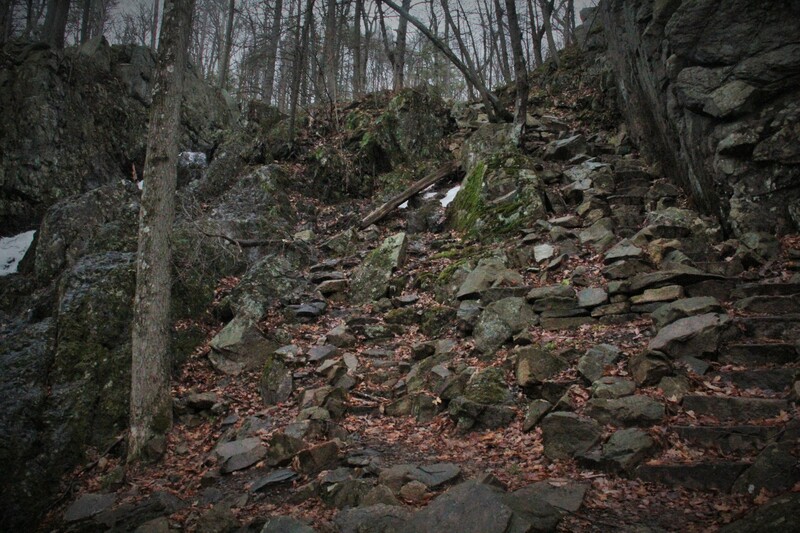 … and take the side trail to the left, up the mountain, to the monument parking lot. This side trail is 0.3 miles, and gets a bit steep. While the climb was a big steep, and the monument was closed, the climb is worth it just from the views from the base of the tower. Hey, we can see three states from here! We took a breather here and admired the views. Afterwards, we backtracked the 0.3 miles to the Appalachian Trail. From here, it was a half mile downhill (of course downhill, we just left High Point) to the blue blazed side trail to the High Point Shelter, our home for the night. The shelter is 0.1 miles from the trail. High Point Shelter – The downside is that the shelter is old, small, and beat up. And was pretty full. The good news is that there was a great spot for camping right between two streams that made for a great tenting spot. Also made for super easy water supply. The privy on site is newer and well put together. Note: No fires allowed here at this site. No camping allowed in this section outside of this site. 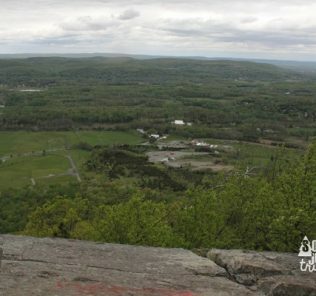 Overview: This is a great little stretch of trail, the climb to High Point is totally worth it! Overview for the whole trip on the third and final day post. 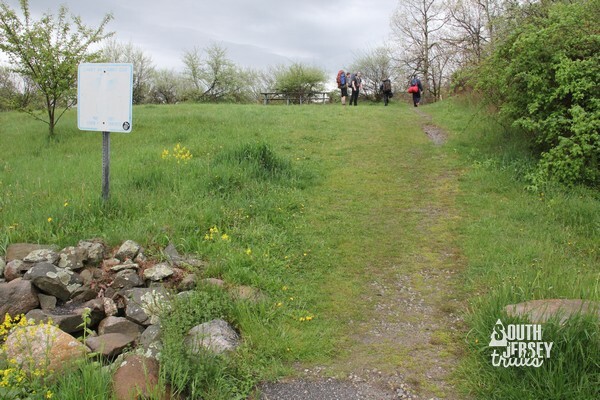 For our next day of hiking, see Day 2 – High Point Shelter to Pochuck Shelter! 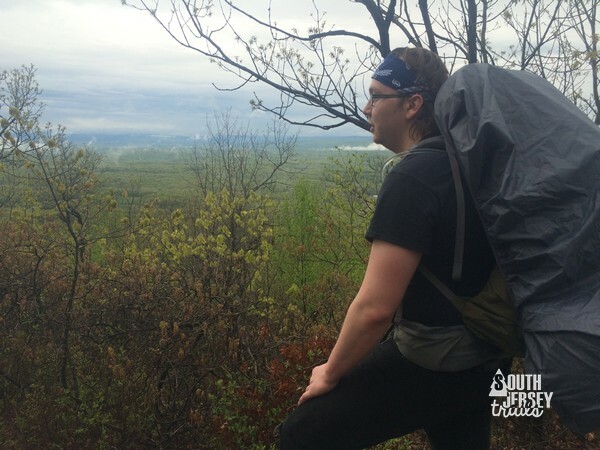 For our final day of this trip, see Day 3 – Pochuck Shelter to Wawayanda Parking Lot! 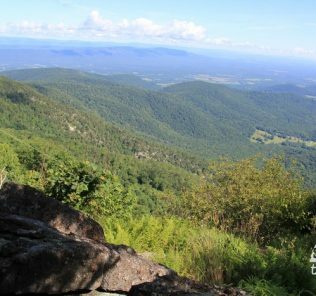 This is a great little stretch of trail, the climb to High Point is totally worth it! Overview for the whole trip on the third and final day post. 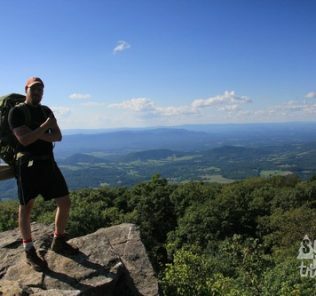 Appalachian Trail, Backpacking, Hiking, History, National Park, national parks, Outdoors.